The first NCAA water polo coach to accumulate 700 wins and the man who led the UC Irvine men to three national titles and six NCAA runnerup finishes, Edward “Ted” Newland, passed away at the age of 91 on Thursday. Hungary stunned host and title-holder Croatia in the World League Europa Cup finals by winning a thrilling gold medal match in front of 2,000 fans in Zagreb. The No. 8 UC Irvine women’s water polo team earned an important win over No. 4 Hawaii in Big West Conference action Friday at Anteater Aquatics Complex. 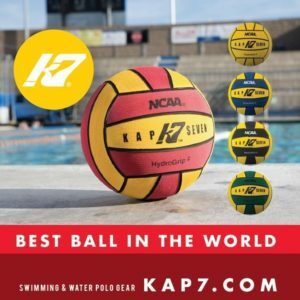 The seven-member class USA Water Polo Hall of Fame Class features six Olympic-medal winning athletes alongside one of the most decorated college coaches in the game. 37 players netted four goals or more to headline the Week 10 standout performances. Bucknell’s Paige Furano led the way with a school record seven scores vs. Harvard on Sunday. 17 Top 25 matchups highlight Week 11 play, while tournaments are scheduled from Lebanon, Illinois, to Cambridge, Massachusetts, to Brooklyn Heights, New York. USC’s nearly one year stranglehold on the top spot of the CWPA Top 25 poll has ended. Stanford takes over the #1 position after knocking off the then top-ranked Trojans 9-8 in overtime on Saturday. Eight strong European teams are ready to compete for a 2019 FINA Men’s Water Polo World League Super Final qualification spot during the FINA/LEN Europa Cup taking place in Zagreb (CRO) on April 5-7. Six upsets, including two overtime affairs, highlighted Week 10 water polo action. After cruising through five matches at the FINA Intercontinental Tournament with relative ease, the USA Women’s National Team found themselves in a battle with longtime rival Australia in the title bout, claiming gold in a 14-12 shootout victory. The Netherlands claimed another title after their European triumph in Barcelona last summer. This weekend the Dutch won the Europa Cup final in Turin (ITA), by beating Russia for the gold medal. No. 2 Stanford held No. 1 USC scoreless in overtime and Makenzie Fischer notched a hat trick to lead the Cardinal in a 9-8 victory, Saturday, at Uytengsu Aquatics Center. CN Marseille has got a bit closer to become the first French team ever lifting a European trophy in water polo. The USA Women’s National Team will play for gold at the FINA Intercontinental Tournament following a 14-7 win over Canada.